I've been in love with maps since I was a little girl, and while I might still have trouble navigating with them, they spark my wanderlust and make me dream of far away places and adventures yet to be had. I was recently given a review copy of The Art of Map Illustration: A Step-By-Step Artistic Exploration of Contemporary Cartography and Mapmaking by James Gulliver Hancock, Hennie Haworth, Stuart Hill and Sarah King and I have been having SO much fun working my way through it. There are over 75 examples of beautifully illustrated maps, along with all the techniques, tricks, and tips you need to create your own! For my first illustrated map I'm drawing the downtown Edmonds city center. We've recently moved to the Seattle area and I've fallen in love with Edmonds. It has views of The Puget Sound, the Olympic Mountains, and is filled with the cutest little cafes, restaurants, bookstores, galleries and art shops you'll ever find! This is a work in progress (I plan to add a lot more of my favorite shops) but here's what I've done so far. I've got the Edmonds Ferry, Art Spot, Salt & Iron restaurant and the little water fountain in the center of town. Have you ever drawn your own map? Leave me a comment and let me know! I was sent a copy of Brittany Luiz's new book Lettering with Purpose, and OH MY GOSH...it is truly the penultimate hand-lettering book! I have quite the collection of lettering books in my studio, and it's safe to say...without reservation, that this is by far the most useful (and beautiful). Brittany is not only a lettering pro, but she's a really great teacher. She's obviously given a lot of thought to what would be most useful, so you can expect to find advice on everything from the best materials to use for hand-lettering, to how to choose colors, to how to pair fonts together and create stunning quote layouts. She also shows you how to achieve a huge range of different lettering styles and techniques from blending with brush markers to chalk lettering, to this cute watercolor flower letter (which I obviously had to try immediately)! If you'd like to learn how to make and edit time-lapse videos of your own art, check out my online class. It's easy, and you can do it using only your phone! Want to learn about modern calligraphy script, bounce lettering, or need some sample alphabets to practice with, they're all in there, along with 100 prompts for when you're stuck on what to actually letter! Her book officially comes out in just a couple of days and you can grab it over on Amazon now! I was recently sent these three books to review, and man have I had fun working through them! The first one is called The Origami Garden: Perfectly Mindful Origami (by Mark Bolitho) and it comes with pretty papers and all the instructions you need to create your own paper garden! Some of my favorites were the Palm Leaf, Cactus in a Pot, and the Butterfly. Definitely worth a look if you love origami as much as I do! The second one is Drawing Calm: Relax, Refresh, Refocus with 20 drawing, painting, and collage workshops inspired by Klimt, Klee, Monet and more (by Susan Evenson). This book is perfect to get your creative juices flowing if you feel a bit stuck, or to get a group of ladies together for a fun project over a bottle of wine. I think kids would really enjoy the exercises too, so a great play date with your littles. For me, art is my meditation. It is the best way I've found to calm my mind and unwind, so this book is filled with great exercises to help me de-stress. I'm only up to Chapter Three so far, but already I've illustrated my grocery list, played around with tissue paper painting, drawn all different types of trees, and painted a variety of flowers! The third book is Cut and Create; Paper Mosaics — Craft mosaic-by-number artworks with paper tiles, scissors and glue (by Chiharu Rosenberg). The book comes with beautiful mosaic templates and all the paper you need to complete them. My favorites are the mermaid, white lilies and fox in the forrest designs. Do you have a favorite art exercise book to get you out of a rut, or help you try something new? OMG, I can't tell you how excited I am to share with you that Tombow have just released a new line of pigment fine-liner drawing pens! I use these sorts of pens for everything — sketching, detailed line work, over (or sometimes under) watercolors, in my bullet journal, my art journal...you get the idea! 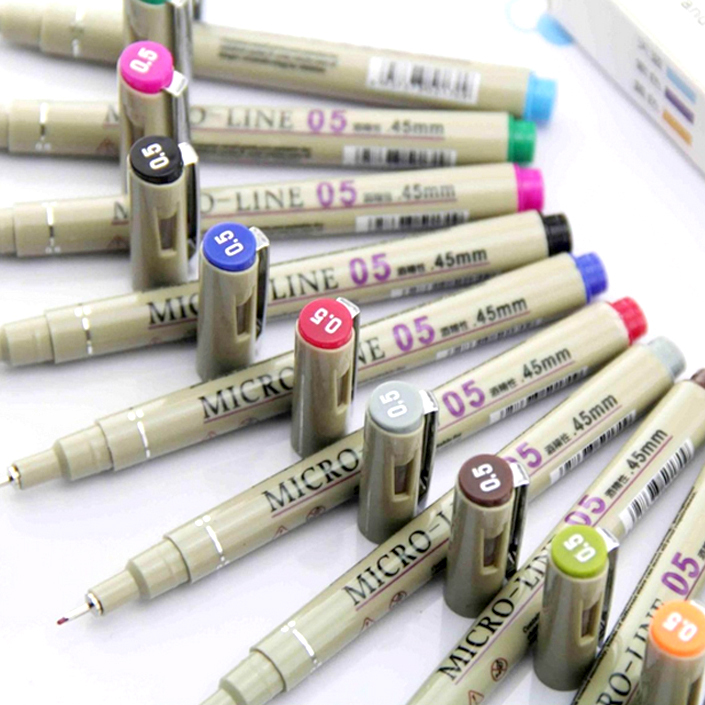 The MONO Drawing Pens come in 01, 03, and 05 sizes which coincidently are the three sizes I use the most! Do you have a favorite go-to pen? If not, I definitely encourage you to give these a try. 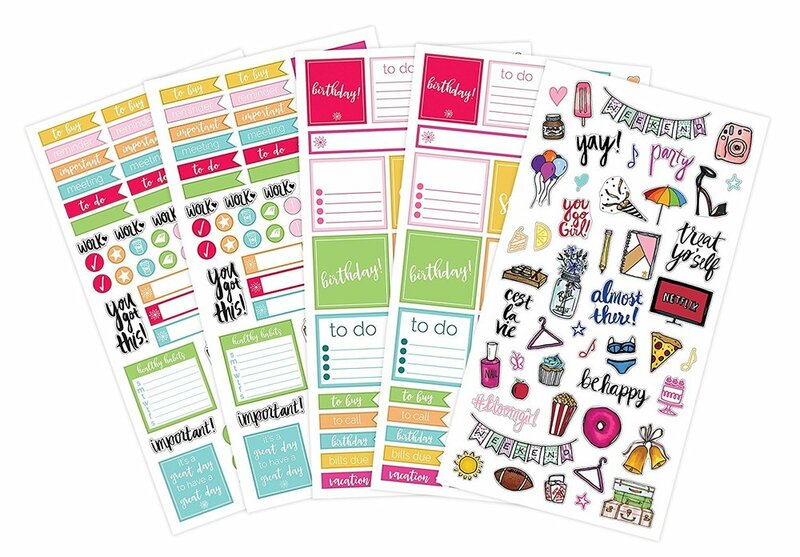 Tombow is having a 30% sale on them today! Top 5 iPad Pro Apps for Artists! Hey friend! I'm sure we're already besties on Instagram, which means you know how much I've been raving about my new iPad Pro! I've resisted going digital for a long time, I tried a few Wacom tablets and didn't really enjoy them. 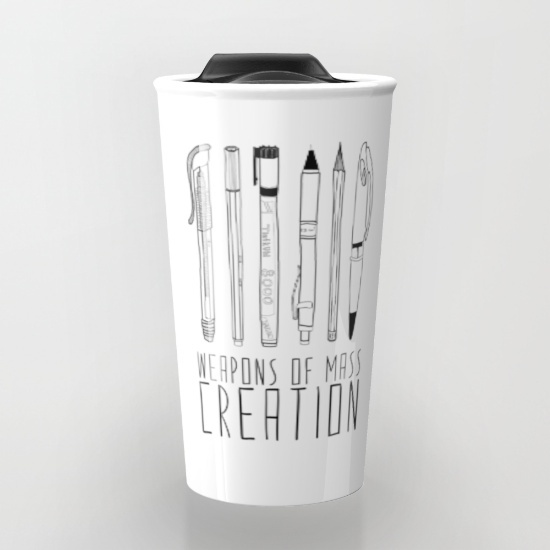 But when the iPad Pro, and more specifically the Apple Pencil came along, and I could do everything from rough pencil-looking sketches to outputting vector art...all from Starbucks...SOLD! And best of all I'm drawing and (digitally) painting more than ever! Here's a round-up of my top five favorite apps for art and drawing, so far (and believe me, I've downloaded and tried a LOT of apps)! Now I know this is going to be a controversial 'number one' but here's why I love Adobe Draw so much. Vector Art people. You can output it straight to Illustrator, upload it to Adobe Cloud or Behance with a tap of a finger. Awesome. Think of all the lovely line art coloring pages you can produce on this thing. And while I love, love, love paper and watercolor, it sure is nice to be able to just hit the back button when I mess up. Here's an example of something I recently drew in Adobe Illustrator Draw. Procreate is a super professional app with lovely brushes, pens, and other tools to choose from. The Apple pencil works brilliantly, letting you shade when held at an angle etc. You can change the size and resolution of your canvas, have multiple layers, and export your files as PSD / PNG / JPG etc. I have yet to really master Procreate, but I can see the astounding potential of this app. You can layer your artwork as PSD files, and send it over to Photoshop or Illustrator on your Mac. There are loads of tools, rulers, graph guides and you can import your own images to include in your artwork. With Adobe Photoshop Sketch you can also upload to the Adobe Cloud or send straight to your Behance profile. I like how simple and clean this app is, but it still has some great brushes including a pencil, watercolor brush, felt tip pen, rotring, and eraser. You get all of that for free, but there are in-app purchases that will upgrade you to having different types of paper, additional brushes, pressure sensitivity, more layers, and different brush sizes. And best of all, if you want to test it out first, you can upgrade for an hour before committing to the $5 cost. The closest thing you'll find to real watercolors, on the iPad Pro! 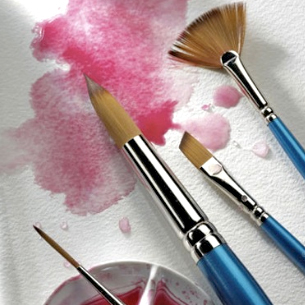 You can choose the grain of paper you want, how much water your brush holds, and there is even a little hairdryer if you need your layer of paint to dry a little quicker. Hours of fun! Ok, I'm adding a sixth app to my list. I've just come across Paintstorm Studio. It's the closest thing I've seen to full Photoshop functionality on the iPad Pro. Loads of brushes and options, you can do collage and edit pictures as part of your artwork (most apps just let you have a photo as a background but not actually do anything to it). It is on the expensive size, but not when you consider what a Photoshop license costs! Now it's your turn. Which of these apps have you used? And what did you like about best about it? Leave me a comment below. 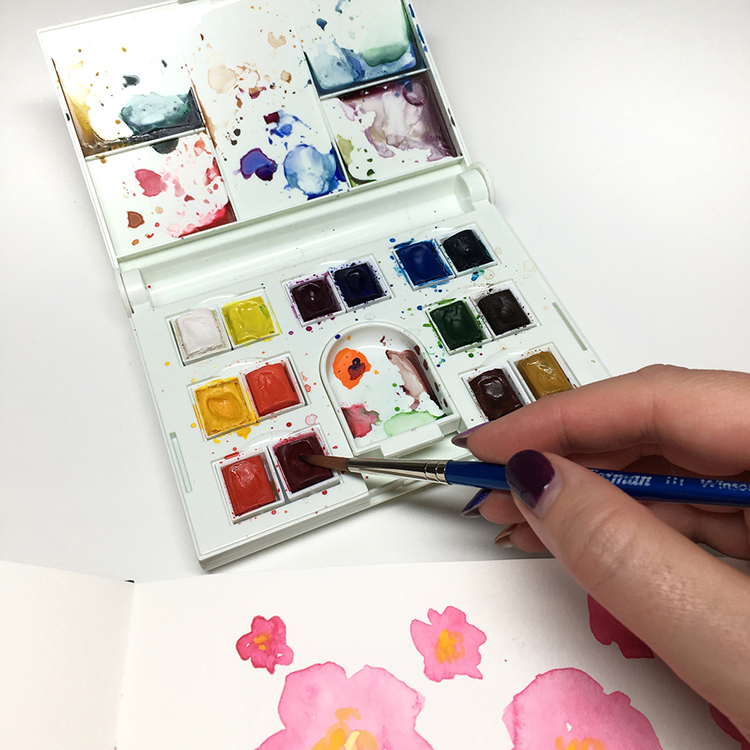 If you’re new here, I’m Jessica — a watercolor artist and fashion illustrator from Australia (but now living in Seattle, Washington). I’d love to connect on social media, come say hi on Instagram, Facebook or Twitter @BrownPaperBunny! "What is the best watercolor paper to use?" is a question I get asked a lot. So rather than just listing out my favorites, I made a short video showing you the differences between hot pressed and cold pressed, the different brands of watercolor paper, and which one you should choose depending on whether you're a beginner or a watercolor pro. Check it out, and let me know if you have any other art questions - I'd be happy to answer them if I can. Adult coloring books are clearly the shizz, so I've been testing out a lot of different coloring tools to find out which ones work best. The quality of the paper seems to be getting better, at least in the coloring books I've picked up lately, so that opens up your options. In order of suckiest to 'OMG I love this marker' here are the results! The Copic markers are on the pricey side, and they go straight through most coloring book paper stock. Plus they smell really strong. Thumbs down. I know Sharpies are handy, and you almost always have some in the house. BUT, just like their more expensive Copic counterpart, they went straight through the paper and they smell pretty bad. (Unless you like the smell of Sharpies, in which case I say, put the marker down, and go get some fresh air). Thumbs down. If you use these colored pencils dry, they do a really nice job. They're soft so they cover and blend well. But if you wet them to make them more vibrant, and permanent, they do go through the paper. Not as badly as the Copic or Sharpies, but still....not great. I love paint pens, love them. Except for the Sharpie ones. Now, don't get me wrong, I'm not hating on Sharpies - usually I love them - they're just not great for coloring. The sharpie paint pens have a super fine nib, and seem to be both watery and dry somehow. So they don't cover the paper very well, and they also tend to bleed through. Thumbs down. You'll be there for days, head hunched over your coloring book, hump starting to form on your back, just trying to coloring in with these gel pens. The ink isn't free-flowing and the nib is ultra tiny! They might be ok if you have some teeny-tiny detailed spaces to get into, but otherwise I'd avoid them. Thumbs down. This is a BIG nibbed paint pen. If you got a big area to cover, great. But if you're trying to do the fine detail required in most adult coloring books, forget it. Surprisingly it didn't go through the paper, despite laying down a thick, opaque layer of paint! I love the variety of colors the Liquitex Paint Pens come in, but they can be a little watery and were just starting to go through the page a little if I colored a larger space with them. They are a fairly broad-nibbed pen too, so not great for finer detail. The metallic Sharpie ink is much more opaque than its colored friends, and doesn't seem to bleed through the paper at all, unless you do some serious scrubbing. Thumbs up. Side note though, it will cover up your black lines. So you either have to be ultra careful, or not mind too much when the shapes start blobbing together. This metallic gel pen is wonderful. The ink practically glides onto the paper, it gives reasonable coverage for a fine nib, and it doesn't bleed through the paper! Thumbs up. These pens have super fine nibs, but the vibrancy and color range they offer is outstanding, and then won't bleed through your paper either. So I'd definitely recommend them for those more detailed coloring pages. Thumbs up. I love, love, love this pen. It has a smaller nib than it's Liquitex counterpart (still a little larger than a Sharpie though), and the vibrant paint is super opaque and glides onto the paper. Best of all, it doesn't go through the page! Amazing! Thumbs up! For super-cheap colored pencils, these weren't too bad at all. They blended well, weren't too waxy, and best of all they smelled delicious! Thumbs up. I found the Prismacolor pencils to be a little waxy and hard to blend, which is strange for a watercolor pencil. They're usually super soft. Having said that, you could wet them and blend the color out, and as long as you didn't go crazy with the water, there was no bleed-through. Thumbs up. The Derwent pencils are nice and soft, blend and cover well, and you can use a little water to spread them out and make them more even, without them bleeding through the page. Thumbs up. Surprisingly the watercolors did really well. They were easy to fill in small spaces with a fine brush, and as long as you didn't get splash-happy and use too much water, they didn't go through the paper! Thumbs up. Ooh, ahh. The Faber Castell markers were my favorite. They have a brush tip so you can easily get into the small crevices, as well as block-color larger areas quickly. They come in loads of colors, they don't smell, and unless you are really scrubbing (and in which case I suggest you get a grown-up to show you how to hold your marker correctly) they won't go through the paper. We have a winner folks! Here's the front and the reverse of my test page. You can see the sharpies and Copic pens went through the worst, followed by the Inkense pencils when wet. What are your favorite coloring tools? Leave me a comment below and let me know (preferably a link to them, if you have one handy). Now that I don't have wedding planning filling my every moment, and the holiday season has come to an end, I finally found time to clean out my studio this weekend. Among other things, I managed to find the Fashionary Fashion Illustration Sketchbook that was so kindly sent to me to try out. If you haven't heard of Fashionary, they provide a series of sketchbooks designed specifically for fashion illustration. In addition to including useful information such as measurement tools, a brand index, and a fabric dictionary the pages of their sketchbooks are full of lightly-outlined templates. This means no more drawing croquis! Instead, you can get straight to the designs and getting your ideas down on paper. Brilliant! They send me the Tiger Mania sketchbook, which I'm now completely in love with, but I also love their Candy Pops range. Check it out. If you've already seen or used Fashionary Sketchbooks I'd love to hear about your experience, leave me a comment below!